"On the first question, I think that some kind of criminal punishment was appropriate in this case. Swartz had announced his commitment to violating the law as a moral imperative in order to effectively nullify existing federal laws on access to information. When someone engages in civil disobedience and intentionally violates a criminal law to achieve such an anti-democratic policy goal through unlawful means — and when there are indications in both words and deeds that he will continue to do so — it is proper for the criminal law to impose a punishment under the law that the individual intentionally violated. (Indeed, usually that is the point of civil disobedience: The entire point is to be punished to draw attention to the law that is deemed unjust.) As that appears to be the case here, I think some punishment was appropriate. 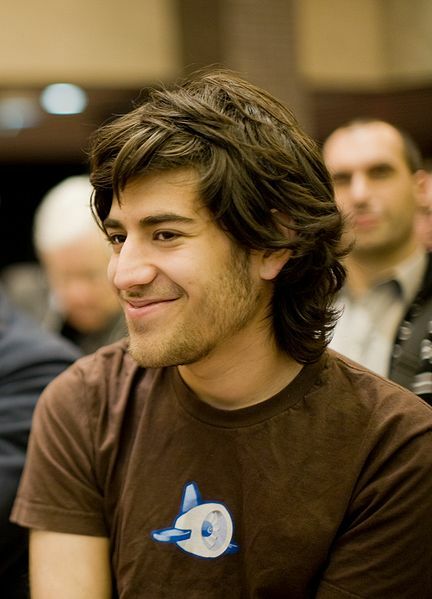 On the second question, I think the proper level of punishment in this case would be based primarily on the principle of what lawyers call “special deterrence.” In plain English, here’s the key question: What punishment was the minimum necessary to deter Swartz from continuing to try to use unlawful means to achieve his reform goals? I don’t think I know the answer to that question, but that’s the question I would answer to determine the proper level of punishment. The prosecution’s plea offer of 6 months in jail and a felony conviction may have been much more than was needed to persuade Swartz not to engage in unlawful and anti-demoratic means to pursue his policy goals in the future. If so, then I think it was too severe. But it depends on how much punishment was necessary to deter Swartz from using unlawful means to pursue his policy goals. In my view, that’s the question that we need to answer in order to say what punishment was appropriate in Swartz’s case. On the third question, the issue of who was to blame if the prosecution was too severe, I think it’s important to realize that what happened in the Swartz case happens it lots and lots of federal criminal cases. Yes, the prosecutors tried to force a plea deal by scaring the defendant with arguments that he would be locked away for a long time if he was convicted at trial. Yes, the prosecutors filed a superseding indictment designed to scare Swartz evem more in to pleading guilty (it actually had no effect on the likely sentence, but it’s a powerful scare tactic). Yes, the prosecutors insisted on jail time and a felony conviction as part of a plea. But it is not particularly surprising for federal prosecutors to use those tactics. What’s unusual about the Swartz case is that it involved a highly charismatic defendant with very powerful friends in a position to object to these common practices. That’s not to excuse what happened, but rather to direct the energy that is angry about what happened. If you want to end these tactics, don’t just complain about the Swartz case. Don’t just complain when the defendant happens to be a brilliant guy who went to Stanford and hangs out with Larry Lessig. Instead, complain that this is business as usual in federal criminal cases around the country — mostly with defendants who no one has ever heard of and who get locked up for years without anyone else much caring. On the fourth issue, yes, the Swartz case does point to a serious problem with the Computer Fraud and Abuse Act. But that problem is not the definition of “unauthorized access,” as some people seem to believe. (That definition is a problem, but with the Nosal case from the Ninth Circuit and likely Supreme Court review in the next year or so, I think the Courts are likely to take care of it.) Rather, the problem raised by the Swartz case is one I’ve been fighting for years: Felony liability under the statute is triggered much too easily. The law needs to draw a distinction between low-level crimes and more serious crimes, and current law does so poorly. I would recommend two changes. First, the felony enhancements for 1030(a)(2) are much too broad. I would significantly narrow them. Second, I would repeal 1030(a)(4), which is redundant as it only a combination of 1030(a)(2) and the wire fraud statute, 18 U.S.C. 1343. It therefore only leads to extra and redundant charges to confuse juries, and is better off repealed." Seb Schmoller's essay even more so. "As we think about what happened to Aaron, we need to recognize that it was not just prosecutorial overreach that killed him. That’s too easy, because that implies it’s one bad apple. We know that’s not true. What killed him was corruption. Corruption isn’t just people profiting from betraying the public interest. It’s also people being punished for upholding the public interest. In our institutions of power, when you do the right thing and challenge abusive power, you end up destroying a job prospect, an economic opportunity, a political or social connection, or an opportunity for media. Or if you are truly dangerous and brilliantly subversive, as Aaron was, you are bankrupted and destroyed. There’s a reason whistleblowers get fired. There’s a reason Bradley Manning is in jail. There’s a reason the only CIA official who has gone to jail for torture is the person – John Kiriako - who told the world it was going on. There’s a reason those who destroyed the financial system “dine at the White House”, as Lawrence Lessig put it. There’s a reason former Senator Russ Feingold is a college professor whereas former Senator Chris Dodd is now a multi-millionaire. There’s a reason DOJ officials do not go after bankers who illegally foreclose, and then get jobs as partners in white collar criminal defense. There’s a reason no one has been held accountable for decisions leading to the financial crisis, or the war in Iraq. This reason is the modern ethic in American society that defines success as climbing up the ladder, consequences be damned. Corrupt self-interest, when it goes systemwide, demands that it protect rentiers from people like Aaron, that it intimidate, co-opt, humiliate, fire, destroy, and/or bankrupt those who stand for justice. More prosaically, the person who warned about the downside in a meeting gets cut out of the loop, or the former politician who tries to reform an industry sector finds his or her job opportunities sparse and unappealing next to his soon to be millionaire go along get along colleagues. I’ve seen this happen to high level former officials who have done good, and among students who challenge power as their colleagues go to become junior analysts on Wall Street. And now we’ve seen these same forces kill our friend." I understand and respect Orin Kerr's perspective but I don't agree that Aaron Swartz's efforts to undermine or nullify a federal law can necessarily be characterized as "an anti-democratic policy goal", particularly given the money driven systemic corruption of US politics so passionately articulated by Seb Schmoller. I do think Prof Kerr is right in his assessment that there is a higher probability that the US Supreme Court will do a better job than Congress of reigning in the abuse of the US Computer Fraud & Abuse Act to prosecute less serious computer related activity which can currently be categorized as crimes. Unfortunately neither Congress nor the Supreme Court have a particularly good understanding of computer technology, so I'd be pessimistic about the chances of either of these venerable forums properly dealing with the overly broad provisions of the Act. "I don’t think it would have been right to just let Swartz go ahead with his plan to intentionally violate the law, releasing millions of articles onto file-sharing networks, without the law responding at least in some way. The great tradition of civil disobedience is to intentionally violate the law and proudly bear the consequences in order to change public opinion and eventually change the law, not to violate the law in secret and try to render the law you oppose unenforceable while avoiding punishment." I'm no political scientist or philosopher but that seems a very narrow characterization of civil disobedience, even of the variety that involves breaking the law (and I don't recommend the latter). Yes attempting to draw attention to the unjust nature of some laws by breaking them is one tactic of civil disobedience but it's not the only or even the most effective one. One of the other key tactics I believe Thoreau discussed in his essay, On the Duty of Civil Disobedience (original title: Resistance to Civil Government), was to encourage society to behave in ways that made the unjust law or unethical behaviour of government unenforceable. He was suggesting people undermine a bad law by ignoring, circumventing or breaking it, encouraging others to do likewise and demonstrating to the public and the government that it is a bad law. Aaron Swartz's close friend Larry Lessig's four forces - law, architecture/environment, social norms and market forces - along with context all have a part to play in whether a law gets enforced. Not getting caught and jailed or punished in any other way is an important part of such action. The Underground Railroad and the Boston Tea Party are prominent examples in US history that one of Prof Kerr's blog respondents draws attention to. Not only is it an important tactic, Thoreau says we have a moral imperative to engage in such non compliance and there is no inherent assumption that that need require partial martyrdom through deliberately orchestrating personal jail time. Ghandi's Salt March was another prominent example. Thousand of Indians were brutally beaten and jailed by the British as a result of these protests. The non cooperation of thousands more and worldwide publicity and condemnation of British behavior failed to get the British to change the law but did make them realize their control of India was dependent on the cooperation of the indigenous population. Whatever the rights and wrongs of the Aaron Swartz case, his death is a personal tragedy for his family, friends and the society that will never again derive the benefits of the passionate commitment of this brilliant young man to social justice. Update: James Boyle's thoughtful and compelling critique of Orin Kerr's assessment is essential reading. "I think that much of the rest of Orin’s argument is — very uncharacteristically — rather one-sided. I think that in his descriptions of the facts, the issues surrounding prosecutorial discretion, and even sometimes of the law he tends to stress evidence against Aaron and to minimize or ignore facts that might put him in a more favorable light. Finally, I think Orin’s account lacks sympathy. What I mean by sympathy is something very particular — something that the humanist discipline of the law neglects at its peril. One kind of sympathy is bad — and that is the kind Orin is writing against. We shouldn’t base prosecutorial decisions on the fact that Aaron knew smart and famous people who can wax eloquent about his virtues, or on the fact that he looked like this. That’s the bad kind of sympathy, and Orin rightly warns us against it. But prosecution is a human act, a humanist art. Most of the prosecutors I know are humbled by the awesome responsibility of wielding the power of the state. They are aware that they wield it for people and against people, with all their complexities, their weaknesses, but also their strengths, their nobility, the things they do for good, their connections to others. They have discretion and they want to wield that discretion with sympathy and judgment — for both victims and alleged perpetrators. And they want to learn from their mistakes — and there will be mistakes. I think, in the laudable attempt to avoid the bad kind of sympathy, Orin sometimes loses the good kind. There is not much, almost nothing in fact, in Orin’s lengthy posts about the good things Aaron did. " "He argues that Aaron’s announced ideals would lead him to violate the law again and that therefore the prosecutor would be right to ask for a sentence sufficient to stop that hypothetical continued criminal conduct. Now maybe this is right. But I think it is a lot more revolutionary than Orin gives it credit for and a lot more contentious than his post suggests. I return to the Martin Luther King or Rosa Parks examples. (Or if you prefer, the anti-abortion activist who trespasses on Planned Parenthood in order to spray paint his slogan.) Legislatures had enacted segregation laws. If Dr. King trespasses and violates state rules mandating segregation, and announces that he considers these laws wrong and that he will encourage others to do the same in the future, do we really believe that the prosecutor should ramp up the penalty until it would amount to special deterrence? What would that take? Death? Life imprisonment? Is that then “not disproportionate”? I would have thought that one of the reasons we treat the protester who acts out of conviction (even conviction we disagree with) more leniently, is that we recognize that this is not mere profit seeking, not mere personal interest, and that in the past, such protesters have eventually changed our minds about the rightness of the actions the law prohibits. There are limits to leniency, surely. But there seem few limits on Orin’s special deterrence. Again, I think his post is more conclusory than is warranted, and again those conclusions run against Aaron."